One of my favorite snacks is tortilla chips and salsa! Really, really love it. Fresh, local salsa is kind of expensive, and it seems silly (sometimes) to buy it instead of making it homemade and fresh. 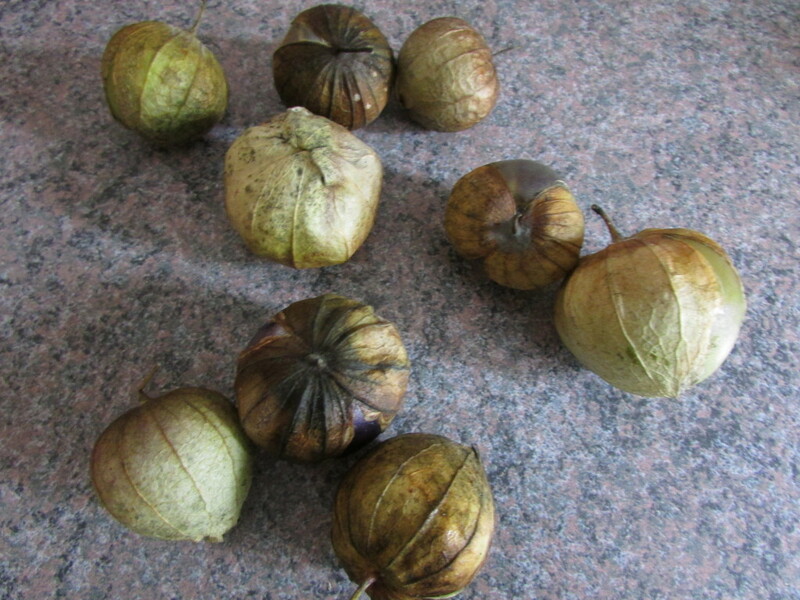 Tomatillo season is coming to a close, and I have a feeling I may have gotten one of the last batches of them when I went to the store last week! I had also recently picked up an awesome pumpkin salsa at my local health food store, so I was inspired after tasting it to make my own. This really is delicious, my husband even asked me to make a second batch. 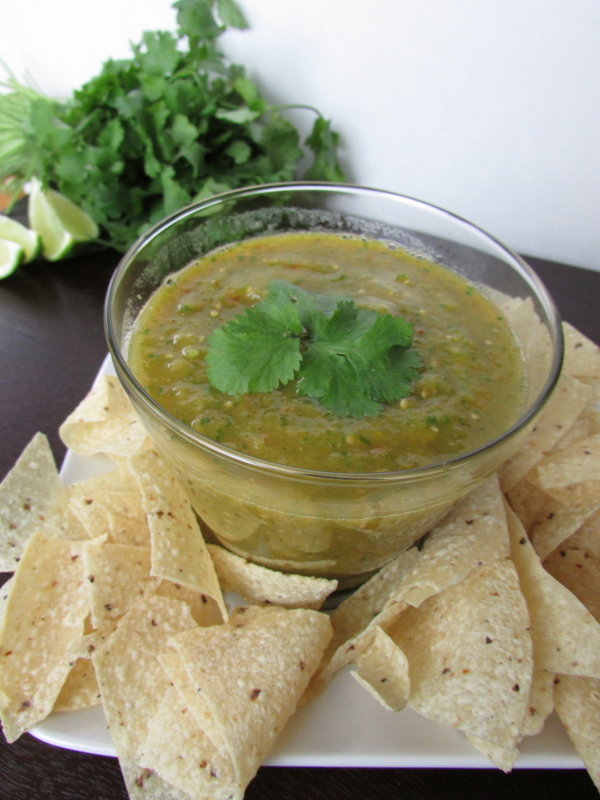 The salsa can store in the refrigerator up to 7 days, but I’ll bet it won’t last that long!